Get ready to rev-up and get dirty as Bob mixes his lovable animation with footage from real-life construction sites. See diggers, trucks, mixers work together to build your dream house. From demolition to finishing touches, you'll learn everything you need to know to get the job done and have fun. 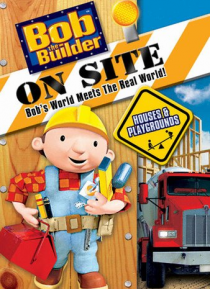 Top it off with your fantasy playground, and you're On-Site with Bob the Builder!